Jonathan: As much as critics love this show, and I think I will love it, the mystery drama is going to flop. It's hardly being promoted, it has no buzz, hardly any Twitter followers, and to cap it off, a terrible timeslot. cancel. Rebecca: This show has a terrible timeslot, a lead-in that's not compatible, and zero buzz. I'm going with a strong Cancel on this one, and I'll even bet that it'll be ABC's lowest-rated fall freshman. Bridger: Little promotion and a luckless Sunday scheduling leave this show ominously foreshadowed to fizzle. ABC appears to have little faith in this show as it not only does not have an established scripted lead-in, but also appears to be a placeholder as ABC is gambling on placing all of their eggs in an American Idol revival in the spring. Sad to see any scripted fare flop, but CANCEL. Ahmad: ABC has had zero luck with dramas on Sunday recently. I don't expect 10 Days to change that. From what I've seen, the show has received very little promotion in comparison to the other ABC newbies. Additionally, the twitter page has a mere 507 followers. That screams lack of interest. All signs are simply pointing against it. Cancel. Jonathan: This is by far one of the easiest shows to predict. It's gotten a ton of buzz, a good lead-in, Freddie Highmore, and is from the House creator. Easy renew. 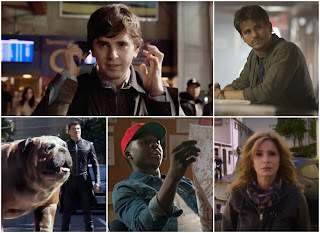 Bridger: After a succession of failed dramas in recent seasons, The Good Doctor is timely as the now-recognized autistic children are now adults forging their way through the real world. This timeslot appears to be the best offering among ABC's damaged scheduling landscape, as The Bachelor and Dancing With the Stars are still rocketing strong and proved compatible with semi-procedural helpings in the past (Castle anyone?). ABC has properly marketed this entry, which has the greatest chances of survival among the Freshman class. Unless ABC botches the scheduling or writing falls flat, a RENEWAL is in view. 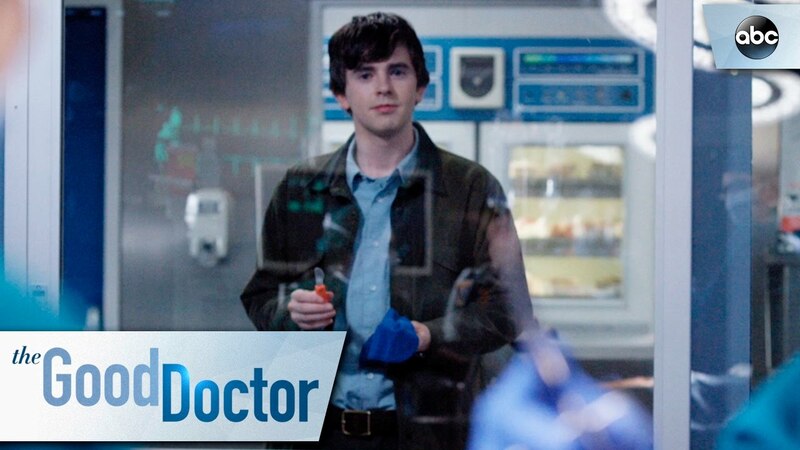 What will be the fate of 'The Good Doctor'? Jonathan: May be the unpopular opinion, but I see this getting renewed. It has a decent amount of social media buzz, positive reviews, Lea Michele and Yvette Nicole Brown attached to it. I don't think it will be a hit, but I don't think it will flop. It should do just enough, or maybe a little more, and get renewed. Rebecca: The Mayor is an unorthodox ABC comedy. The series isn't a family comedy, and ABC is well-known for their family comedies. I'm not sure that ABC's audience will be looking for a show like this. I'm going to have to go with cancel on this on. Bridger: ABC deserves props for breaking the mundane "crazy mother, dopey father and 3 children" formula presented in the remaining sitcom lineup. However, the back-end sitcom anchor slot (housed at 9:30pm in 2013-14 and 2016-17, 8:30 for the 2015-16 season) has proven to be a failure starting with Trophy Wife, Manhattan Love Story, Fresh Off the Boat (saved by an impromptu move), The Real O'Neal's and Imaginary Mary. Pros working for the show include pairing with Black-ish (perhaps forming a mini-black comedy block) and the writing. Cons are the timeslot, as well as having a troubled 10pm show following. ABC would have been wiser to locate the show to 8:30 to give it a development bed between The Middle and Black-ish, and appears more interested in building up 4th season Fresh Off the Boat and forcing The Mayor to fend for itself. This show is a hard read ON THE BUBBLE. 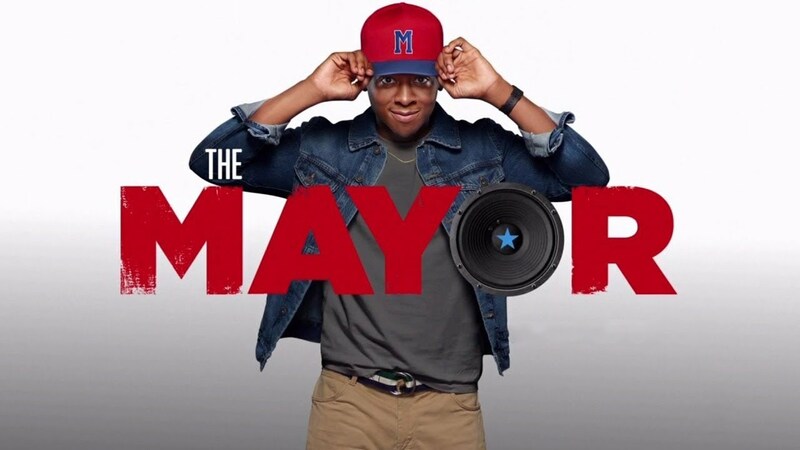 What will be the fate of 'The Mayor'? Jonathan: This poor show. Nothing is going right for it. Kevin has a terrible timeslot, no buzz, no positive reviews, just nothing to make me think it could possibly come close to getting renewed. I'm not wondering it it will be canceled or not, it will, I'm wondering if it will be pulled, or have its episode order cut. cancel. Rebecca: The time-slot that Kevin will be airing in is seemingly cursed. Most shows that have aired there have died after a single season, with only SHIELD surviving the slot in recent years. On top of that, seemingly nobody cares about this show, with barely any followers on social media. It's an easy cancel. Bridger: The show's premise has endured too many shake-ups before being situated on a shaky timeslot foundation. A pity, as Jason Ritter landed on an evening which his father (the late John Ritter) catapulted ABC to controversial success in Three's Company 40 years earlier. Perhaps clever marketing may have drawn a nostalgic touch for a Ritter-centric Tuesday. ABC made the unwise decisions of undoing the thread holding this losing timeslot together years ago when they axed Body of Proof in 2013, forming a timeslot as undesirable as most of Sunday evening. 2013-14 created too many flops to name, and the network again played too greedily by dismissing Forever, which rated tepidly and held potential for growth. The continued trend is poor performance, further damaging aging Agents of Shield. Why should this show present a different future. CANCEL. 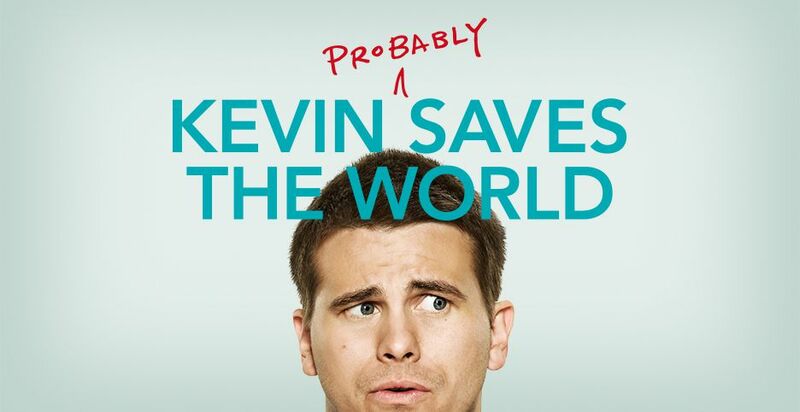 What will be the fate of 'Kevin (Probably) Saves the World'? Jonathan: Despite having the Marvel name attached to it, and decent social media buzz, I do not think Inhumans will make it to a second season. Channing Dungey, ABC president, is worried about it, critics despise it, and it has been sentenced to Friday, I'm going to have to go with cancel. Rebecca: Right off the bat, this show has the misfortune of having to air on Fridays, which isn't exactly a night in which original programming thrives. It also has to air out of Once Upon a Time, which will undoubtedly be at anemic levels. In addition to all of that, fellow Marvel series SHIELD and Agent Carter lost their spark quickly. I don't know what the audience for this show will look like, but it probably won't be enough. cancel. Bridger: Landing on a newly-crafted evening with an aging/ailing Once Upon a Time leaves little room to scrap the show. Soft ratings are likely, but the competition elsewhere is soft on the other networks, with only CBS housing an opportunity to outperform. OUAT has higher odds of cancellation, as well as Marvel's Agents of Shield. Quantico is another story of failure. With these three shows already on fire before hand, would ABC be bold enough to scrap the entire evening? RENEWAL is likely as too many fires exist elsewhere on the schedule, and Scandal is slated to end as well. Jessica: I'm going to have to agree with Rebecca on this one. Fridays have lower ratings expectations, and I think it's going to be anemic behind Once. cancel. What will be the fate of 'Marvel's Inhumans'? ABC experienced an upturn in 2014 and signs of resurgence with rock-solid Wednesday and Thursdays, as well as modest success on Fridays. That momentum fizzled by early 2016 as Thursday's TGIT softened as How to Get Away With Murder dropped in the ratings. FOX nosed ABC out of 3rd place, where it has remained since. A pity, as most of ABC's scripted fares perform stronger than FOX. ABC has the makings of a stellar lineup, albeit they have yet to learn their lessons with troubled timeslots. 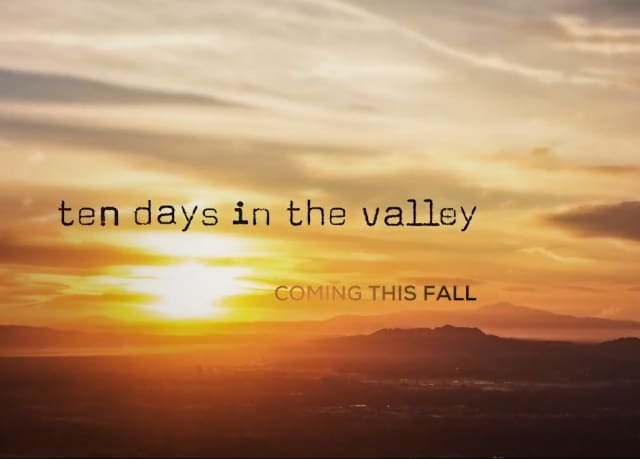 Sundays are a reality-TV graveyard (with misfit Ten Days in the Valley in the corner). Tuesdays are forecasted as weak from 9:30-11:00. Scandal is slated to end in 2018, leaving a massive hole for the claiming on Thursdays at 9pm. And a mashed-up Friday lineup shows little opportunity to improve with ailing shows like OUAT, Quantico and Agents of Shied straddling fertile real estate formerly possessed by Last Man Standing and Shark Tank. ABC will likely remain in 4th place unless FOX collapses. Wednesdays are solid, and Thursdays will also deliver. The Good Doctor appears to have plugged the hemorrhage in Mondays if it can somehow manage to remain above the 1.0 mark. It also holds ground to best a weakened CBS on this evening. And half of Tuesday is cemented with the comedy block, likely making a nice fit for Roseanne's 8-episode continuation. The jury is still out on Spring's American Idol revival, which ABC has invested in heavily, hoping for a turnaround. The problem is that is a large gamble, only two seasons after Idol barely surged in its last season after declining in 2014. And reality TV has faded as a popular interest in the 2010's having played out since the previous decade. What ABC fails to recognize is its key to its success is laughter, which may generate returns from in-house productions making it to syndication. This should not dictate a schedule with 22 sitcoms, but rather pivotal places for laughs. America's Funniest Home Videos holds steady ratings at 7:00 on Sundays against football and gears audiences toward family-friendly laughs. The 8:00 hour holds promising ground for either a dramedy or two sitcoms. After all, Desperate Housewives turned Sundays into a winning run from 2004-12. FOX's Sunday comedies would be easy to overtake if ABC places sitcoms in direct competition. If the Friday showings do not work out, ABC would be wise to resurrect Friday laughs in the 8pm hour with an established comedy. Without sports or the Olympics, ABC will likely never reclaim 1st place. That should not discourage the network from comfortably reclaiming 3rd place if it gets its scripted affairs in order. 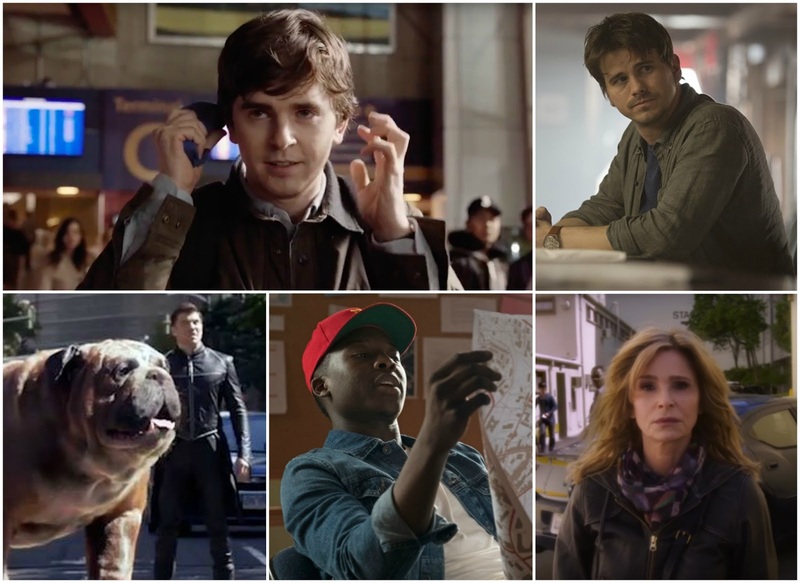 If ABC invests in laughs, the heavier dramas may perhaps colonize the 10:00 timeslots. Graveyard evenings are never encouraged. However, ABC is best to funnel aging fares into the Sunday 10pm timeslot. The Grey's firehouse spinoff holds potential as a a Scandal replacement. ABC executives should cater to what works in timeslots vs. what they want viewers to watch. A soft delivery is predicted for the 2017-18 season.